UniHD: full memory, gfx, disk, VMS install; NetBSD ? KA42-A V1.3, 16 MHz ? = 20MB 32MB possible ? 3x1.2V pack to be replaced ? ftptransfer needs subsequent set file/attr=rfm:stmlf, should probably go into ftp config. 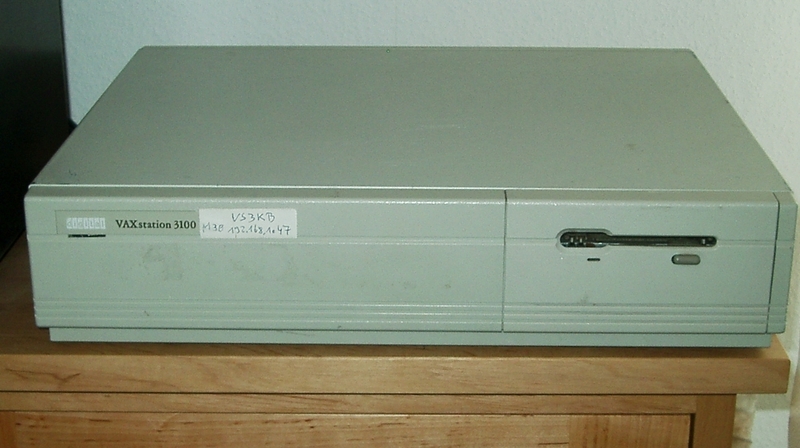 (HP says VAX systems are still available and OpenVMS support is promised at least through 2010). A historical (1990) quote on VAXstation prices (PDF) I found during cleanup.